I have a new fan. Her name is Heidi and she’s a cute-as-a-button nine year old. Heidi is one smart cookie, she loves to read, and I just learned that she enjoys drawing cartoons! She might possibly be the coolest kid ever. Last night her mom (who is also very cool) shared one of Heidi's single panel comics with me. I’m telling you folks, the gag was so funny that I couldn’t stop laughing. 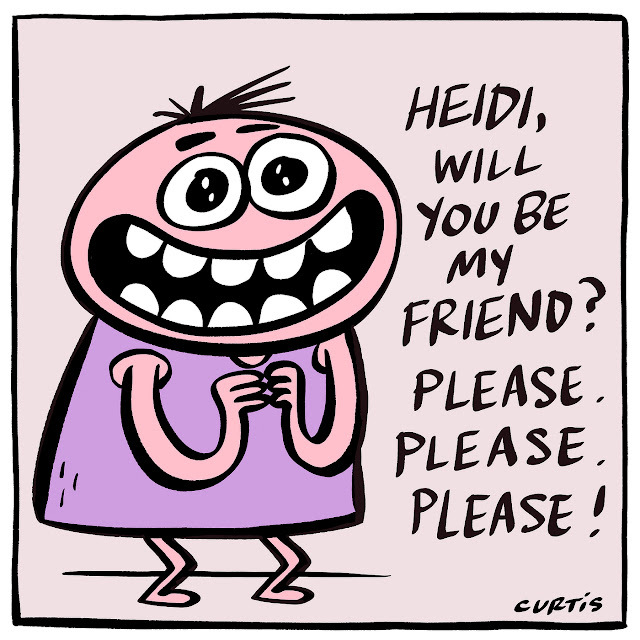 It’s not often that something makes me laugh out loud, but Heidi’s comic did the trick. Heidi, if you’re reading this (and I know you are) I want you to know that I’m your biggest fan! Keep drawing. It’s a gift to be able to make people smile with your art.